some other facts about her that you probably never knew. Q: Annie Idibia Quick Facts? 1. 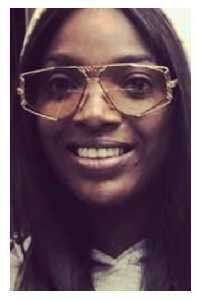 Annie Idibia is the wife of legendary Nigerian musician 2face Idiba,Annie was born Annie Macaulay on the 13th of November 1984,she is currently 33 years old.Annie was born in Ibadan, Oyo State, Nigeria but currently lives in Lagos Nigeria. 2. Annie is a Nigerian actress,model and presenter,she has been in Nollywood since 2009. 3. She has two daughterss for 2face Idibia namely Isabella Idibia and Olivia Idibia. 4. Annie has over 3 million followers on Instagram,her handle on IG is @annieidibia1. 5. The actress hails from Eket in Akwa Ibom State,Annie med to Lagos with her mother after her parents divorced. 6. Annie bagged two degrees in Computer Science and Theatre Arts from the Lagos State University and the University of Lagos. 7. She is also a model as earlier in her career she became the 2nd runner-up when she took part in the Queen of All Nations Beauty Pageant. 8. Annie's breakthrough movie in Nollywood came after she featured in the movies titled ''pleasure and cr*me and Blackberry bab*s,she also featured in 2Face's music video titled "African Queen". 9. Some of her movies include: 'first family,pleasure and c*ime,white chapel,Blackberry bab*s,estate runs,unconditional,obiageli the s*x machine' etc. 10. She is married to 2face Idibia,she is also the owner of a beauty salon in Atlanta called "BeOlive Hair Studio",in 2016 she won the African Entertainment Legend Awards for Fast Rising Actress in Nigeria. Q: Annie Idibia Current Net Worth? Annie Idibia is estimated to have a current net worth of $ 600,000 USD.